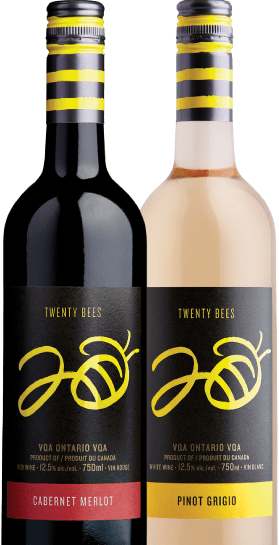 20 Bees Wines | Your Perfect Just Beecause Wine. Available at Lakeview Wine Co. in Niagara-on-the-Lake, LCBO and select grocers. *Offer valid on minimum purchase of $50 at Lakeview Wine Co.
Online Wine Shop until December 31, 2018.